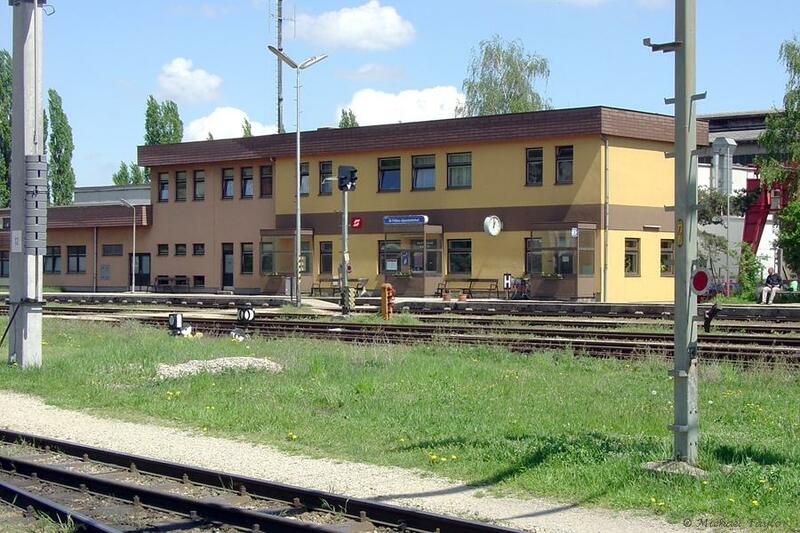 St. Pölten Alpenbahnhof MZB is on the ÖBB narrow gauge line that runs to Mariazell and is located about 2 km from the Hbf. 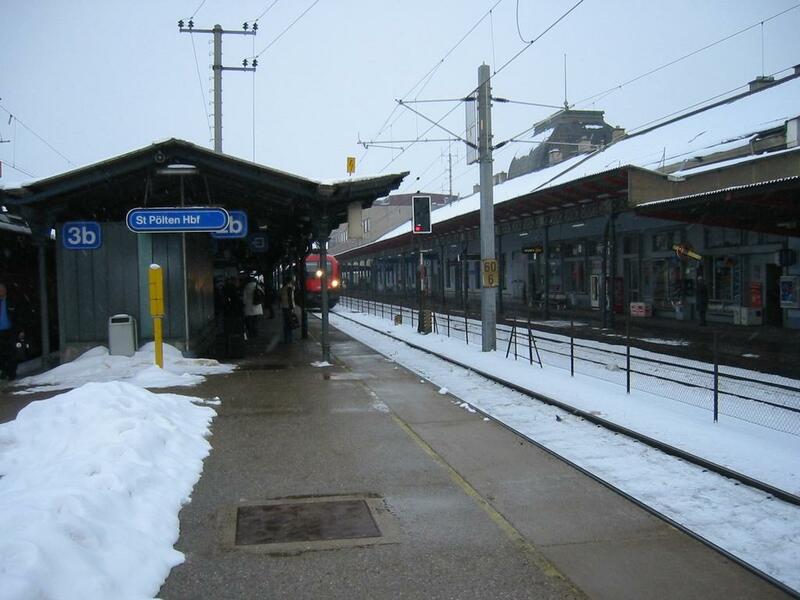 It was photographed as 1099 004-2 waits to push empty stock to the Hauptbahnhof on Monday May 3rd, 2004. 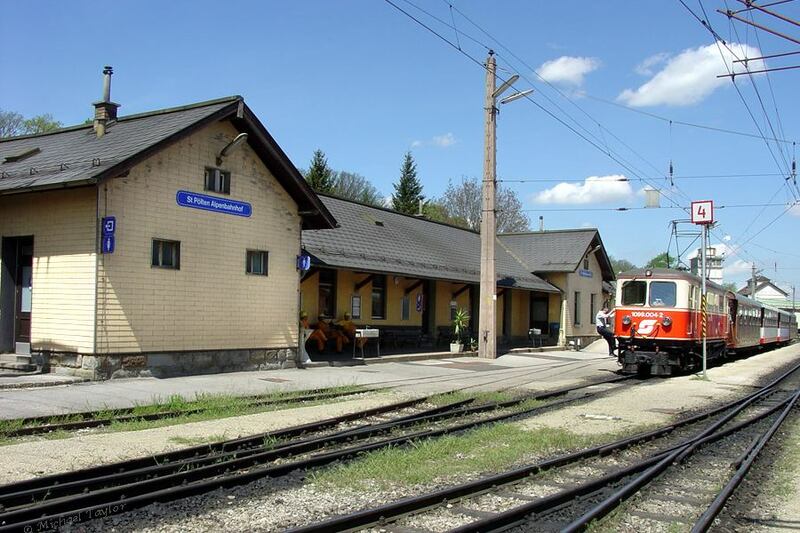 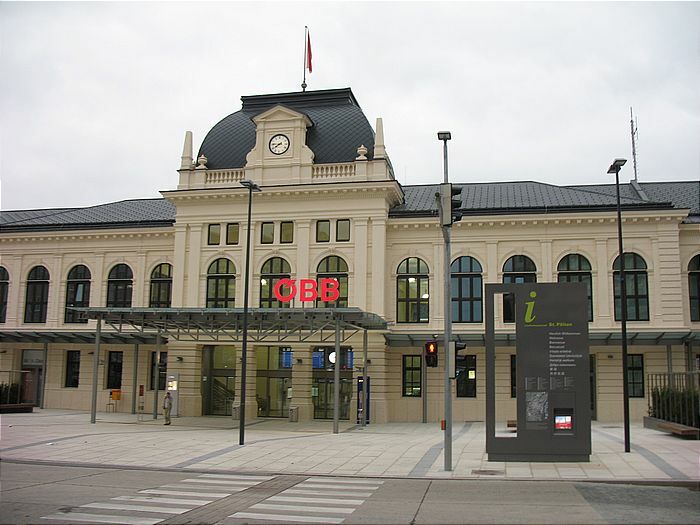 St. Pölten Alpenbahnhof is on the ÖBB standard gauge line that runs to Traisen and is located about 2 km from the Hbf. 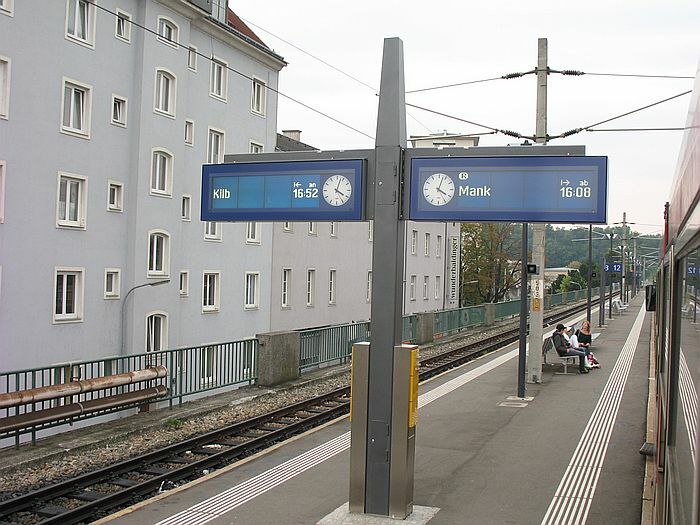 It was photographed from the Mariazellerbahn station on Monday May 3rd, 2004. 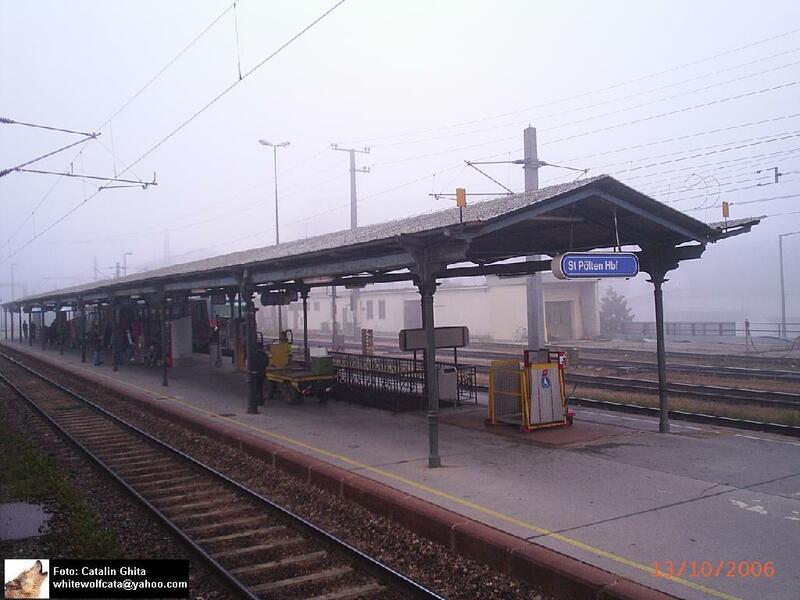 ÖBB Station St. Pölten Hbf on 29.02.2004.